Southern from Scratch is a guide to down-home, traditional Southern cooking. Starting with the basics of a Southern pantry, you’ll learn how to turn them into a bountiful table of delights. A born teacher with a storyteller’s charm, author Ashley English offers directions for 150 recipes that are both fun, clear, and will have you cooking like Grandma in no time. English offers insight into how to make the most of local ingredients and includes recipes for pickles and relishes, jams and spreads, sauces and vinegars, and more that use whole, natural, and in-season produce. 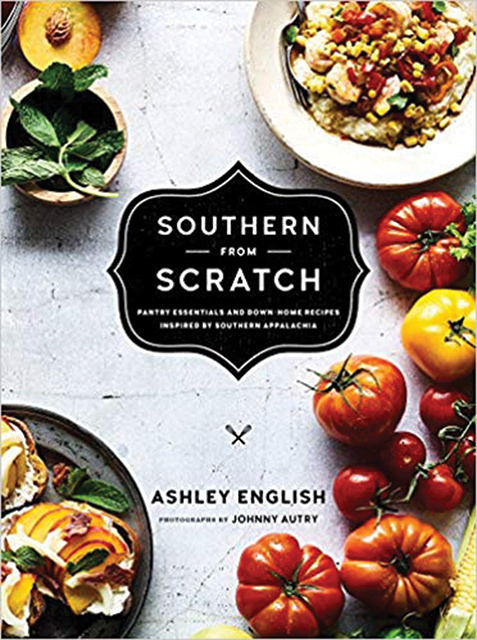 With these flavorful bases and embellishments on hand, Southern from Scratch opens up a world of Southern cuisine by sharing ideas and recipes that incorporate these classic staples. With recipes ranging from Southern Greens with Chow Chow, Pickled Beet Deviled Eggs, and Succotash to Cornmeal Catfish with Spikey Tartar Sauce, Slow Cooker Barbeque Chicken, and Grit Cakes with Country Ham and Applesauce, this is a warm and down-to-earth homage to Southern Appalachian home cooking.